this is a conversion of sweet half life (a mod of half life) to sven coop made with ripent. 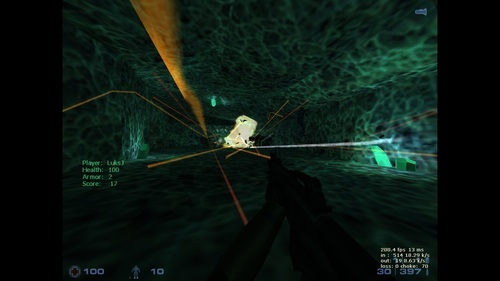 Modifications were made to support coop gameplay. Custom npc were replaced with sven coop npc. Some custom weapons are included, even if they not very accurate. If you find bugs please tell me. I expect no game breaking bugs. If you are stuck look around, seek buttons, find things to broke, sometimes the path is not too obvious. 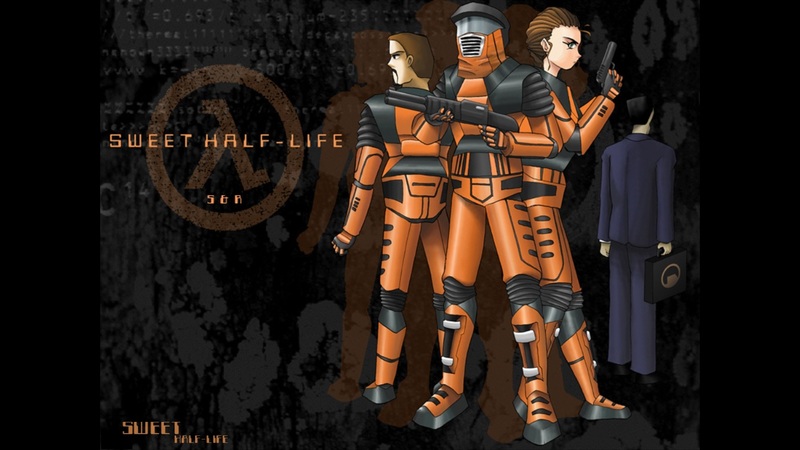 Original sweet half life authors. Also thanks to anyone who helped me testing this on my server and people who gave me valuable feedback. t0a0: more speed and damage to the first elevator and added a workaround to solve "issues" with the second elevator. shlwork: what to do in the garage area now is easy to understand. shl6: the first vortigaunt now cant be killed. Fixed the weird osprey. shl6b for listen server: renamed to shl6b.bsp (had another name due to a clumsy mistake of mine). shl9b: fixed a bug that appears when you get out from the torture room. shl12: fixed telefrag issues. Fixed missing files in shl12.res. 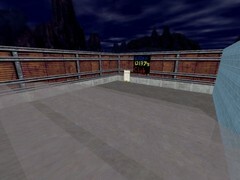 added invisible walls in back area of the map's starting point to avoid players seeing things they are not supposed to. shl2: added teleport nearby the first door to avoid people being stuck when it breaks. shl9: added teleport in the tentacle area to the upper area. shl9b: fixed door in torture room not being locked when the soldiers event starts. shl10: added more delay to first door. fixed bigmomma not entering the player area. shl14b: kingpin now is inmune to the forces that pushes the player out the map. shl15: after the cinematic now you appear in the aliens area. restored (partially) the healing crystals. hev scientist now have weapons more accurate to what they should have. fixed timing glitches on most cinematics. t0a0: replaced the system of the second elevator for a better one. shl2: fixed bug that allowed the player to rush the map after taking the first elevator. shl6: fixed the hev scientist and the gargantua sequences. shl10: hev scientist now do not interfere with the explosion sequence. restored missing dialogs (scripted sentences). robogrunts now are stronger and have better weapons. the listenserver patch was removed, is not anymore needed. shl6: added grenades as starting weapon. Fixed bug that allowed the possibility to skip the first part of the map. shl10: fixed bigmomma not entering the player area again, i made multiple testing and this time seems to be really fixed. 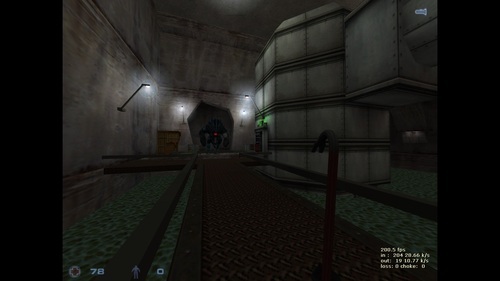 And the valve cannot be used until the bigmomma is defeated. shl_ship4: the boss can attack now. shl2: fixed the wildly opening/closing lift door (i felt really bad for this), now when the scientist start the "opening the hev suit room door" sequence the big door will be locked to avoid people opening it and leading the gargantua to kill the scientist. shl5: fixed scientist following player and straying from the path to open the door. shl6: reduced health to hwgrunt. shl11: fixed energy cannon missing the gargantua when the soldiers are still alive. shl12: fixed the second elevating plataform hurting players with the ceiling. Fixed its reactivating time. shl13: fixed restarting time of the elevating plataform. shl4: fixed the hev scientist doing stupid moves and getting himself killed by the zombies. shl8: added more respawning points. shl9: added more respawning points to avoid deaths by eletrocution. shl_ship2: improved the elevator system. shl1,shl10: cleaned some code mistakes. fixed missing earth planet on space maps. shl_ship3: fixed some bugs on garg cinematic. shl_ship4: fixed missing laser sound. shl_ship3: fixed gargantua not dying. shl_ship4: fixed something that caused to not load correctly shl.wad. shl16: fixed some timing issues with the cinematic. 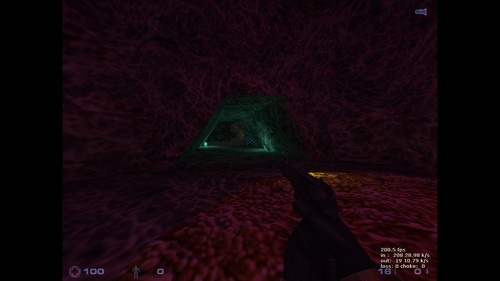 shl6: fixed picture texture error in the corridors. shl9: added missing hwgrunts. replaced the model of the first hev scientist for a more acurate one. shl16: fixed models issues with the cinematic (for alien route). renamed t0a0 to shl_t0a0 to avoid map name conflict with hl hazard course. 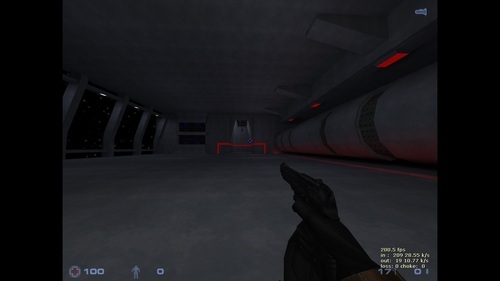 added some custom weapons (the plasma gun and the shl minigun in some maps). fixed some huge wood gibs bug. replaced the glitched hev scientist model for a fixed one. shl_work: replaced a hev scientist model for a more acurate one. 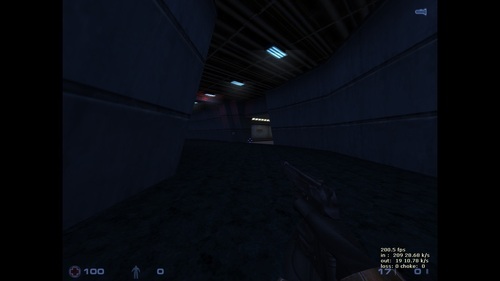 shl_ship2: fixed a door not opening unless you kill some aliens. added some missing files for custom weapons. replaced the gordon model for the correct one. shl4: small tweak on the barney vs zombie sequence. shl6b: fixed missing monsters after picking security card. Healing crystals now look and move like the original mod. shl14b: replaced healing crystals with medkits. 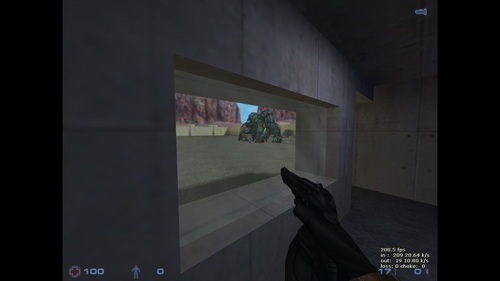 The "t0a0" map name conflicts with the HL Hazard course. No ripenting is required to fix that since it's the first map. I renamed it to "shl_t0a0" and uploaded shl_v1.11.zip which you can link to if that name is ok.
shl6: added to my to do list. it will be fixed on next update. shl15: i had to do some workarounds to make that cinematic work. Eventually i will try to make it work in a cleaner way. it is clear for an answer about cinematic, but there is still problem after cinematic. someone else to attack with players from 2 slaves. but I think should be kill it. im afraid that garg just survived during the cinematic. but it tried to destroy cannon and it won't defeated and it floated away. EDIT:looks like garg inside the launcher while it hit to the cannon while destroyed and attempted firing. see watch https://www.youtube.com/watch?v=b0C2aBQRIqI in 3:20-4:16 that garg sure is ability move when it destroy cannon. so that's it. Materials file defined by materials_file either in the map properties or configuration file. Standard relative path is /sound/<bspname>/<filename>. Custom material definitions will replace default material definitions. rename file "spacelf.tga" to "space_earth_lf.tga"
Updated the link sound to file "sound/shl/shl_sentences.txt"
FIXED shl1.bsp Found non-whitespace between key and value. FIXED shl10.bsp Found non-whitespace between key and value. Thanks, i will check this soon. Added the materials file. Fixed the spacelf.tga problem. About the missing files i fixed the shl_ship4 ones, i forgot to do it before. shl_se3.wav and shl_se4.wav are missing in the original mod. The other missing files are not used in the mod. The other missing files are not used in the mod. For the shl sentences.txt file the original author copied the half-life sentences file and added a few custom sentences. 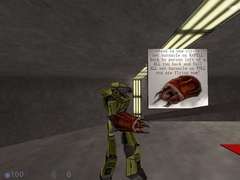 So, the first seven files are files that are linked to default half life sentences, there is no entity calling the them so i gave that no importance. Still, even if they were used there are issues: quail1).wav and innsufficient_medical.wav are just typos imported from half life sentences file. I will clean that for order sake. But stop3.wav, c1a0_sci_desk.wav, c1a0_sci_lock9a.wav, c1a1_sci_scanrpt.wav and c1a1_sci_scanrpt.wav are missing files that cant be found even in half life folders. about shl_se3.wav and shl_se4.wav these are supposed to be used in shl_2001 but as i said before the files are missing in the original mod folders and could not find them. and about the materials.txt i am sorry i did that in a rush and could not test it. I will fix that soon. That hev scientist tend to make stupid moves while tries to get away from the zombies. Sometimes he gets cornered and if the players dont offer support then the zombies defeat him. I could do something about that, i will add this to my to do list. 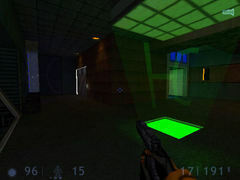 Players did not firing or shooting while alien grunts spawned still fall off and death will be skipped but only 1 missed fall off down to be shot, after destroyed 1 eye elevator getting too fast but mostly it cause health damaged through the trigger with func_door celling. this func_door really slow when the health damaged to picking up heal crystal before proceed the eye room. not sure if i understand but about the second elevator hurting players i will fix that soon. These are most sound files paths mistakes. Added dbarrel1.wav. The missing shl_sentences sound files are not used in the maps. shl_se3.wav and shl_se4.wav are missing in the original mod. So updated with fixes. Thanks for sharing this. a slight detail that can be easily fixed is that some maps don't have invisible walls at the beginning. 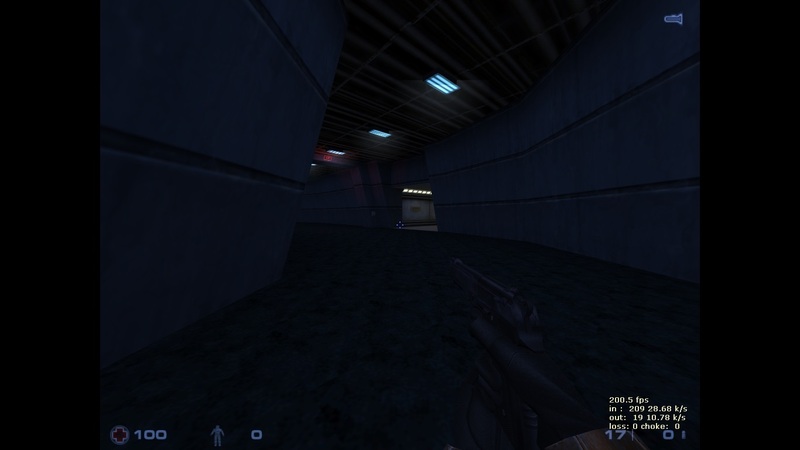 Meaning you can walk back to where the previous map was and see things that are not supposed to be seen like a dead end or broken textures because in the place of the changelevel entity that takes you to the previous map there should be a func_wall or something to prevent players from seeing that. Instead I believe it is deleted and so players can walk right through and go where they are not supposed to. Haven't tested it completelly, but perhaps in some maps this can lead to some exploits or people falling out of the map. the torture room has some random teleports that make no sense. Plus there is a one way invisible wall so once you drop from the platform to the "catwalk" floor below you cannot jump back again (unless you drop to the part that has ladders). Also, the garg after that fight spawns inside the floor and can't move. at the beginning, the door can be opened too fast by just blowing up stuff, and players can get into the little room with the npcs and get trapped there. The little room there has nothing inside so it doesnt make sense for the player to see it before the door opens. The big momma boss also doesnt play the animation properly or misses the paths getting stuck between the rocks and the fence. The explosion event at the end never triggers properly. the cutscene at the end with the music would make more sense if players didnt respawn and the barney wasnt there. 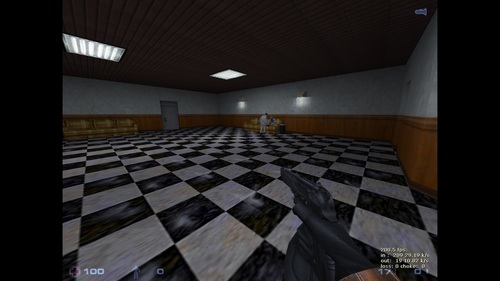 It can be made so the players are teleported around to where the barney is and stand still during the cutscene unable to do anything. the same as the cutscene from shl15, players should respawn at the top of the traincar and stand still instead of it being a helmet npc. 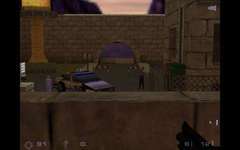 PD: Most sweet half life npcs (including the alien greys) can be found in the map series portalhouse (not found here, i think its on gamebanana). Most probably they are made with scripts that can be used to get the custom models in this one. Other than this, the maps play fine and everything is ok. These are just not game breaking things. So very good job at least we have Sweet HL coop now :)! shl6 (rather a general thing): good idea, i will fix this in the future. shl9b: when you approach the barney in the torture room, the spawning point is changed and everyone are forced to respawn around there. This is needed because you all are supposed to be stuck in that room until the soldiers event ends. At first glance you may not notice it but all the "pits" have ladders leading back to the platform. That garg bug was fixed in v1.1. Only remains fixing the door that should keep itself locked until the apache falls. shl10: about the door and small room thing, ok, it will be fixed. I thought that the big momma bug was fixed but last test showed that still was not, i will have a talk with the bigmmoma about its rebel behavior :). In my tests the explosion event was working fine but i will check. about the PD: that is some nice info! i will check what i can do with these custom models. You probably could ask for help on the official discord. There probably is enough interested people that can help by recreating the npcs and weapons using angelscript (new ingame script system). i will think about the discord thing, anyway if there is a selfless soul who want contribute his time and effort with the custom weapons or npc i will receive them with open arms. I have too few knowledge about models or angelscript so i dont expect to it myself at least not in short term.